Ages: Best understood by upper middle school or high school students, though the text would be easily decoded by fifth or sixth graders. Will appeal to girls more than boys. Plot: Cello prodigy Mia’s life is turned upside down on a snowy February morning when the car carrying her family crashes. Her parents are both killed instantly and Mia’s and her younger brother’s lives hang by a thread. Mia finds herself looking down at her mangled body and is able to watch the events that unfold in the hours after the accident, though she is powerless to communicate with anyone. One of the nurses at the hospital tells her grandparents that Mia’s survival is a matter of choice, leaving Mia stunned with the responsibility of choosing whether she will fight for her life or succumb to death. Her best friend, her boyfriend, and her extended family gathered at the hospital remind her of the wonderful things left in her world. But as she reflects over her happy past, can she bear to continue living given all that she has lost? Our Take: (This section hints at some spoilers.) Young women will whip through this soulful book that begs some of life's biggest questions. The writing is evocative and almost visceral at times; descriptions of the hospital with its mysterious medical apparatus and strange smells are particularly vivid. But while Mia and many of the characters are well-rounded and credible, her relationship with her family is perhaps a touch too idealized to be believed. Forman seems to take great pains to establish that Mia's parents are ultra-cool and, similarly, Mia's relationship with her younger brother is flawlessly blissful. Did she worry that Mia's loss would seem less tragic if Mia and her family had occasional disagreements? Another minor quibble is that Mia's decision near the end of the book feels slightly rushed and anti-climactic. Mia’s best friend is a delightful character, however, and Mia’s confusion about the choices she must make in her final year of high school (stay nearby with her boyfriend or pack off to far-away Julliard?) will be familiar and real to any high school student pondering the future. And the descriptions of Mia’s feelings for the cello music she loves are sometimes achingly beautiful. As a whole, If I Stay is a very good choice for young people. The subject is a dark one indeed, but the book manages to steer clear of melodrama. Instead, it is a thought-provoking read that will get readers thinking about what really matters to them. Adult Themes: Some very mild sexuality. 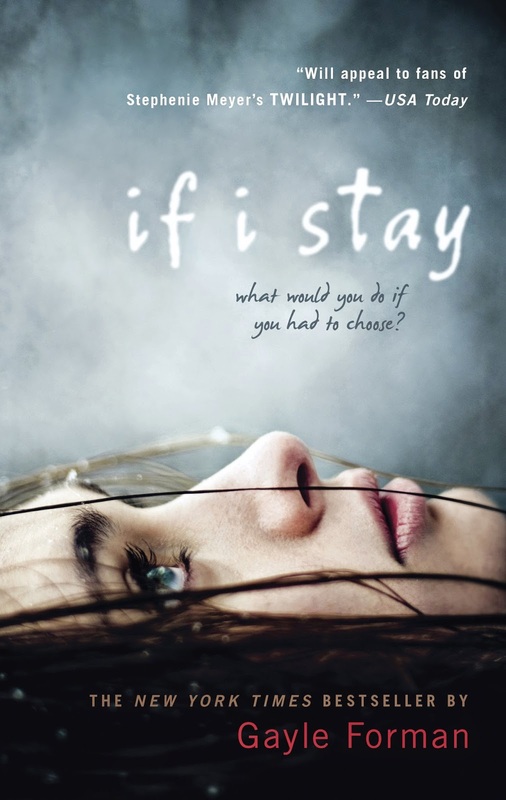 Good to Know: A movie version of If I Stay will hit theaters in August. Also, readers curious to know what happens after the book concludes will be happy to discover the sequel Where She Went, which is told from the perspective of Mia's boyfriend Adam and is set several years after the accident.